Measure your audience growth. Find out who are your new followers and who unfollowed you. Learn about the gender and geo distribution of your followers. Gain a deeper understanding of your Instagram community. 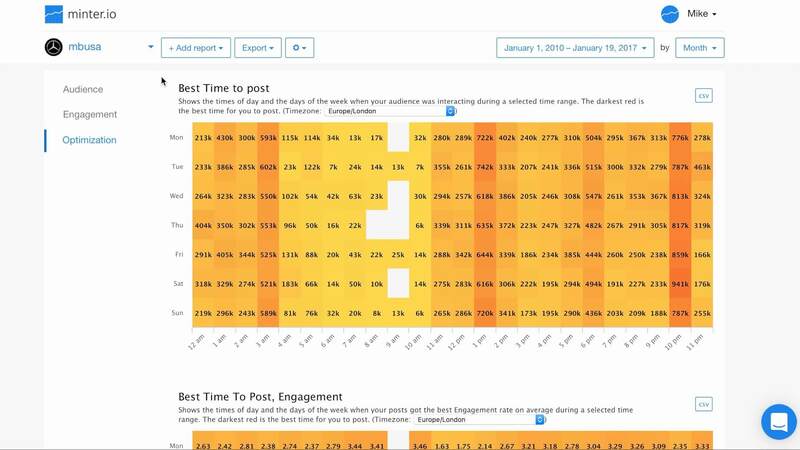 Analyze hashtag activity, discover most engaging posts and important contributors. Measure the reach of your Instagram marketing campaigns. Understand how people feel about your brand or your product based on their Instagram posts. Measure the success of your new products and marketing campaigns. Track competitor hashtags to compare your brand perception against your competitors. #SocialMediManagers: It might be time to switch #Instagram platforms... Check out ig-analytics.net - Clean interface and great #analytics.